I’ve been following the happenings with the 2012 Farm Bill reauthorization, but I haven’t paid enough attention to make sense of it all. Just like so many things in politics, there is so much noise that it’s tough to know who to believe. Somehow I was subscribed to industry-wide emails related to fresh produce (as in fruit and veggies) as well as the soy lobby. Those are different perspectives, too. Dr. Nestle goes on to state, “The farm bill currently costs taxpayers $85 billion a year, with $72 billion of that going for SNAP (food stamp) benefits.” Jaw-dropping numbers. I knew that the Farm Bill included SNAP funding, but I had no idea that it was that large. It’s upsetting that so many people need food assistance to survive. What I would like to see in the Farm Bill is not handouts to corporations, but help for real farmers. When I read some of the statistics about farmers in this country (e.g. The average age of a farmer in the US is 57), I think that we need to be giving money directly to farmers — not to the higher ups at mega farming corporations. We also need more people to chose farming as a career. i might like the bill better if it didn’t represent a funding CUT for SNAP benefits, lowered eligibility, and an increase in red tape and hassle (essentially, punishment for being poor) to qualify. as someone who depends on food stamps to do things like eat, but who allocates a full 10 hour day to do things like apply and interview because of the waits, delays, and hassles. the first time i got SNAP benefits, i had to get FINGERPRINTED because apparently being poor makes you a criminal. My first thought upon seeing this is to wonder how much companies like Monsanto, ConAgra and their ilk will get from this. I’d much prefer them to give the money to actual farmers. My father in law who is a farmer, would prefer for the farm bill to just be 100% dissolved as he says that will help him and his business more than anything. 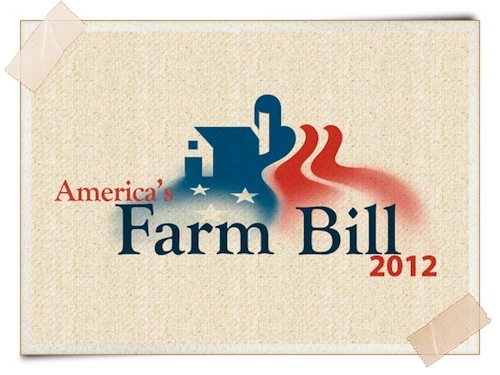 The Farm Bill is a big deal, that will get little if any media attention. The School Nutrition Association is also trying to get the School Breakfast Program funded through this. Presently the USDA does not give any commodity dollars to the School Breakfast Program. Also the 150 million to the fresh fruit and vegetable program is awesome. This program provides to low income schools a fresh fruit/vegetable at least twice a week. We did this in out school last year, we had passion fruit, golden raspberries, papaya etc. Kids really enjoyed it and it had a lasting effect. The DOD $50 million lets schools use their commodity dollars on fresh produce. This works very well. We don’t have to order pallet after pallet of the same USDA commodity now. We use a lot of our commodity dollars on fresh produce, which requires no long term shelf/warehouse space. As far as SNAP goes, I am very much for this program. However I think it should be run more like WIC. Only allowing certain foods to be “purchased”. As far as the back ground check, I think this is a good idea. While the majority are honestly using the SNAP program their are some who abuse and fraudulently use this program. I don’t think it would be a bad idea to have SNAP recipients provide service back at their food pantry or schools either.